Gives you the Empress Personality from Artificial Academy 1. Comes in two versions, Retro and Redux. Retro retains some old animation poses, Redux will only use AA2 Poses. I felt the same pain like nearly every other AA2 player. We missed her, we wanted her, we needed her and now it's back - The Empress Personality from AA1! Time to obey our Empress waifus once again. Be sure to read the notes before downloading! lolDude, she's still eating Icecream you wacko. What did you think? Can you Impress your Empress? - The RETRO Version uses AA1 Poses so be aware that you will need to install the poses via the wizzard else you will get animation problems. The "REDUX" version only uses AA2 poses. - I'll be updating this mod for bug fixes and other improvements, so if you find a typo, bug or something else then feel free to report it in this thread, I will greatly appreciate it. - Because I know zero about Japanese language the sounds might not 100% match the H scenes. - I had to improvise alot regarding dialogue (it actually baffles me how much bigger AA2 is) and made up some funky lines. I had to work with what I had from AA1. 1: Put the "jg2p00_00_33.pp" file into your Main Game Data Folder. 2: Put the "jg2p05_a33_01.pp" file into your Main Game Data Folder. 3: Put the "jg2e05_00_33.pp" file into your maker Data Folder. 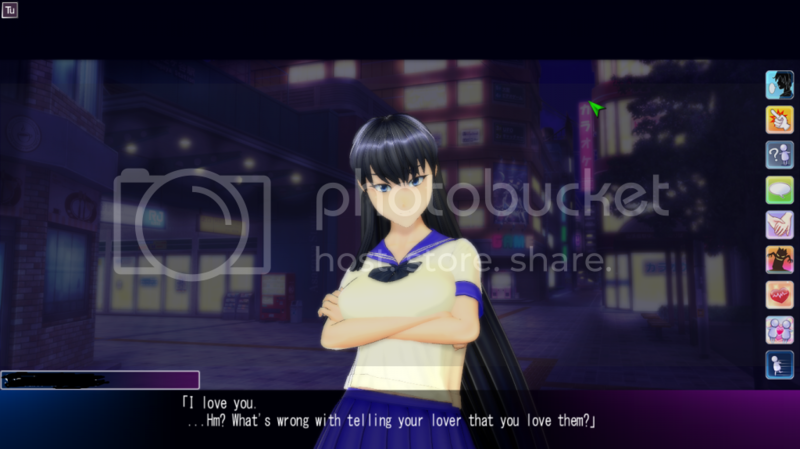 Screenshots: Damn, AA1 looks ugly now for some reason. o_O (contains AA1 to AA2 Comparisons, aswell as a few snapshots of new lines) DON'T watch these if you want to find out all the lines yourself! My Circle for helping me record and edit the audio and also for bug testing and typo corrections! Without you guys I would have never gotten through this! kingspoon - I know what hell you went through ._. Last edited by Snooley; 11-15-2016, 04:39 AM. Awesome Snooley!! Thank you very much!! I know it's a lot of work but would you mind doing the Cold personality too? This is really awesome, I thought about porting personalities from AA1 before but it's too much work. Nice job ! btw AA1 i still feel great ,even without the variety of poses,dialogs,personalities of the AA2 .. anyway .. thanks 4 share !! "plagiarism is copying another's work or borrowing someone else's original ideas." Thanks for the nice comments guys, greatly appreciated. I allready got a bug report in and will be updating the personality right away. The Beta notes are still in for the date lines as we forgot to remove them. At my current location the upload speed is less than desireable but the update should be out not long from now. Edit: Date Lines have been fixed and the Personality has been updated (minor typo correction), be sure to redownload. Last edited by Snooley; 10-17-2014, 12:13 PM. Will this be compatible with the new personalities released on October 31st? I wouldn't want to select the Empress and hear the new personality instead (or vice versa). Now that the empress port is done (well the for the most part, until new updates come)... sorry I know nothing is going to change for saying this... but... maybe... can you share Leonora's card in the forseeable future? Anyways, thanks a lot for the update and sharing your hard work!! Good luck man. Last edited by letronixMASTER; 10-17-2014, 07:59 PM. "in the restraint what is she doing to that poor Icecream and what about me "
Last edited by gtomanga; 10-18-2014, 05:53 AM. nice work!!! just test a bit for see how is it but i have one question. Last edited by Axl321; 10-19-2014, 09:40 AM. The Mod has been updated to now work with Hongfire translations! You can find the download links below the download buttons! 1: I don't know how to implement them. 2: I have no Japanese language knowledge and therefore can't translate. I'll be sure to check out the line in question and fix the sound issue. And I dun know about this pose but it happend when i invited her doing something, it a bug ? Hmm, I'm not sure. If you invited her to go home then it is indeed a bug but pretty easy to fix. If you selected one of the darker options then the camera angle might be correct. I will try to update the H part every so often but the problem is that I have to work with what I have. There are only a few lines for AA1 and there is no way around recycling them when you want to port the personality for AA2. Spoken dialogue might not 100% match the subtitles but this is something I cannot change (unless Illusion would make a official Empress Personality for AA2). Anyway I would like to take this opportunity and thank everyone for the overwhelmingly positive feedback, comments and rep, you guys are awesome. both time specific (lunch/rest/go home) and karaoke/eat/have fun. let's study at my place seems to be okay though. I don't know programming so i don't know if this is caused by it being incompatible with other mods or character editors. Looking forward to your AA2 mods (especially more AA personality ports).